Growing up, Valentine’s Day may have been my 23rd favorite holiday of the year. In fairness, I’m not sure if there are 22 other holidays. Still, you get my point. It wasn’t that I hated Valentine’s Day. Rather, as a younger version of the male species, I was utterly indifferent to the holiday. What’s more, Valentine’s Day had the misfortunate of aligning itself with my least favorite month of the year. To a young Dr. Rob (who was certainly no doctor and actually went by Robby at the time), February was the most flawed month. I mean, can’t we all agree that we’ve had our fun with winter by the 2nd month of the year? By February it’s been cold for way too long (at least where I’ve lived), it’s been dark for a long time, and spring still isn’t all that imminent. The one saving grace for February is that it has enough sense to only have 28 days . . . most of the time. But alas, fast forward to 2018 and I now genuinely love this holiday . . . and yes, this a guy we’re talking about (see 48 second mark). 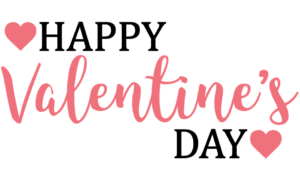 I often hear individuals reference Valentine’s Day as “Single Awareness Day.” I really do understand that this day, which often focuses on romantic love, can be hard for those either not in a relationship or not terribly happy in their current relationship. However, focusing more on others and less on ourselves has been and always will be a secret to happiness. 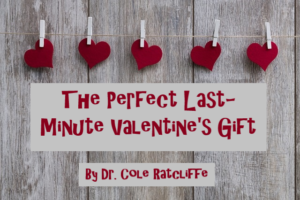 So whether you’re 20 years into the marriage of your dreams or that type of relationship remains a future dream, I encourage you (and each of us) to look for ways to help others feel special and loved during Valentine’s Day! This second tip is for those of us who are married. This strategy is just as helpful for those who’ve been married for 5 months as it is for those who’ve been married for 5 decades. I’ve written in the past about the need for couples to prioritize physical intimacy (here, here, here, and here). No, my thoughts have not changed. Keep prioritizing physical touch on Valentine’s Day and every other day. However, today I’m talking about the need for emotional intimacy. This form of intimacy leads to the sweet closeness and friendship that you observe in the happiest of marriages. According to Dr. John Gottman, the most successful marriages are built on a deep and abiding friendship. There are obviously many ways to build a friendship (romantic or otherwise). Not surprisingly, marriages that are filled with kindness, forgiveness, and intentional time together are much more likely to be happy. 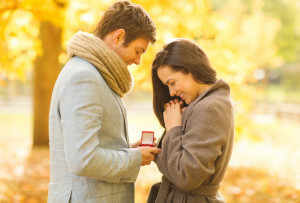 For the sake of this article, I want you to focus specifically on another strategy that can help increase the emotional intimacy in your marriage – developing an ongoing love map. Dr. Gottman refers to love maps as knowing the little things about your partner’s life, which creates a strong foundation for your friendship and intimacy. Understanding the concept of the love map is not too challenging. The challenge comes in prioritizing the time needed to connect. 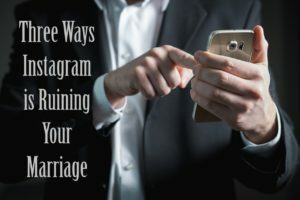 However, as we put down the technology a little more, prioritize date night and couple time, and really focus on understanding and knowing our spouse (hopes, dreams, fears, etc. ), each of us can increase the emotional intimacy in our marriages! From the team at Family Good Things, we not only wish you a happy Valentine’s Day but hope you make this one to remember! Please help us strengthen families by sharing this article with your friends and family! For more of Dr. Rob’s articles (as well as articles by Dr. Tim), be sure to also check out the rest of our blog and our Facebook page.